Today’s the big day, the day I drive away from the school a big mess. 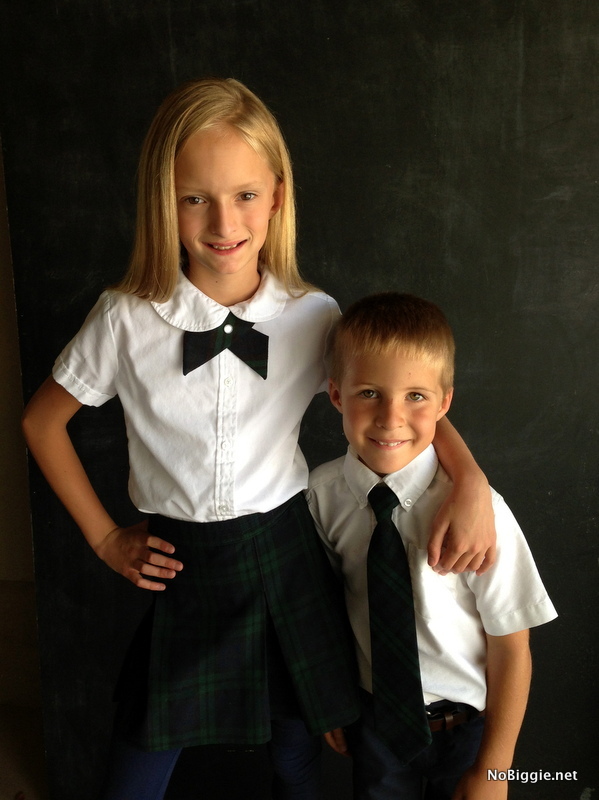 What is it about the first day of school that makes you realize how fast your kids are growing up?? 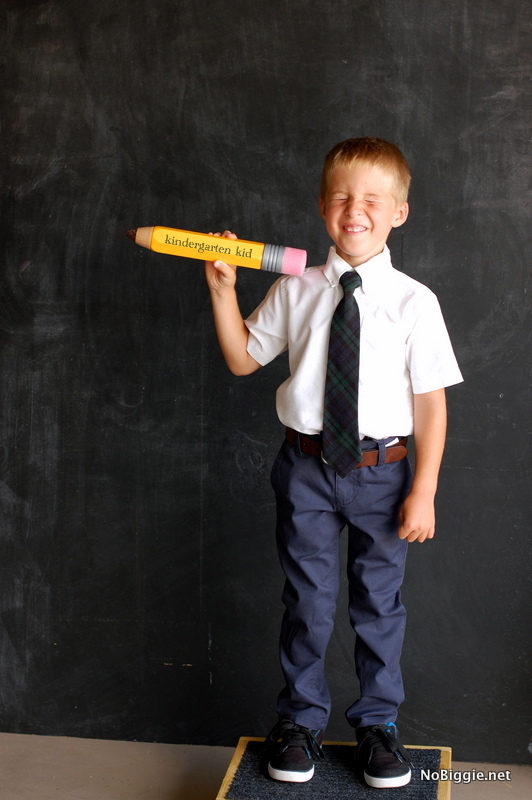 I took some fun photos of the kids over the weekend for back to school. I found this giant chalk holding pencil at my local Winco grocery store last week, and I thought it would make a fun back to school prop. I love classic things in bigger than actual size. I covered the end of the chalk inside with clear packaging tape and a brown cupcake wrapper. Then I just wrote the grade they are attending this year on the pencil digitally in Picasa, really simple. My girl is in 5th grade now, how did that happen?? We really are proud of the sweet girl she is growing up to be. 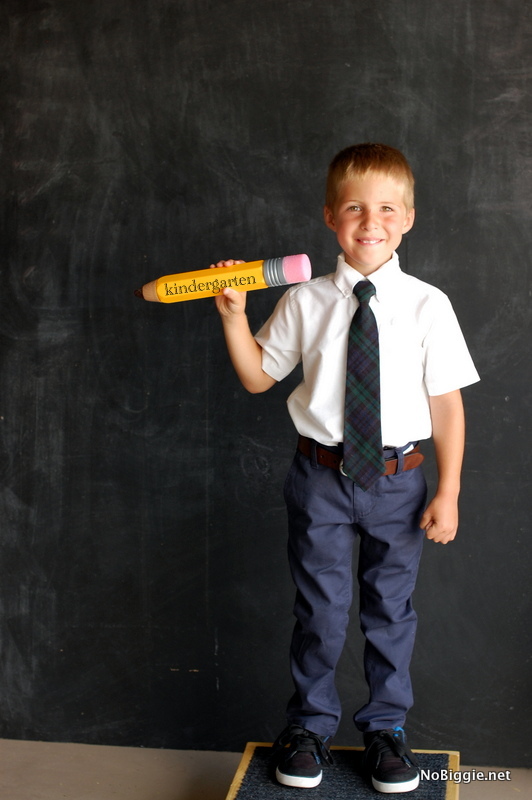 And little Aiden Jack is in Kindergarten! Seriously! I can’t even handle the cuteness in his little white shirt and tie. These two together…love them more than they know. 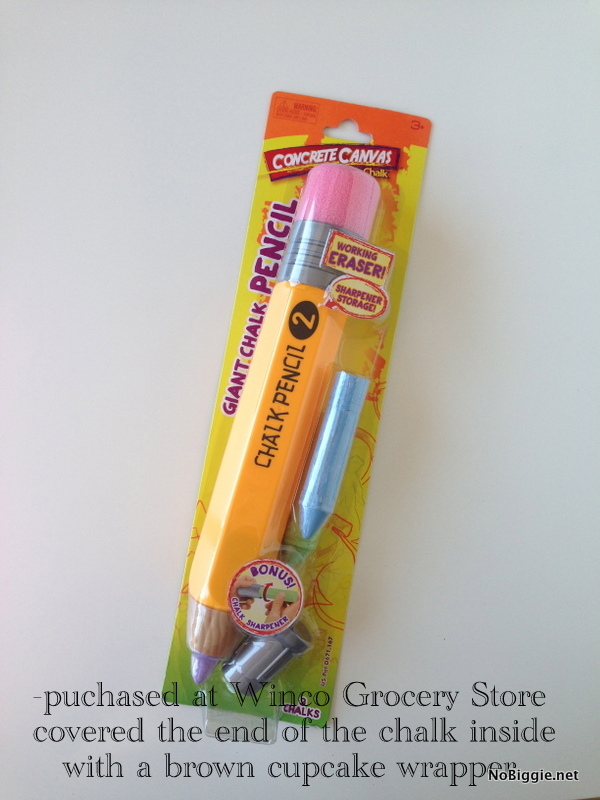 I love these giant pencils, they’re so simple and fun! I hope you all have a great first day back! It’s an emotional day for sure. OK, I’m officially freaking out! 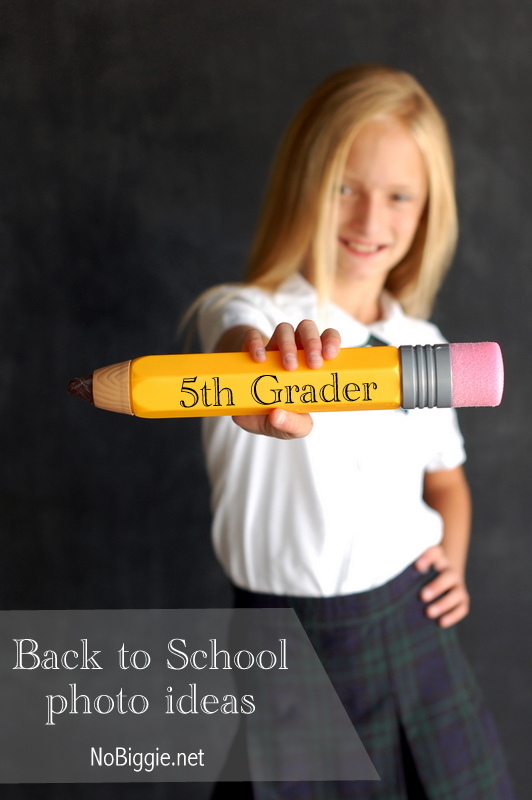 5th grade and kindergarten!! They look so cute! I would love to hear how Aiden’s first day in school goes! Love you all!! It went great! He loved it! What great pictures you took! Such cute ideas! Love the pencils! 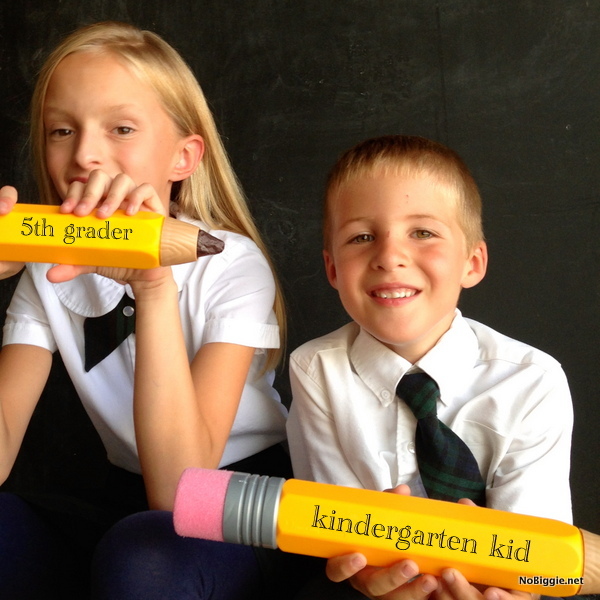 They are so darn cute…and that giant pencil is awesome! Hope your first days back this week went great! How cute! I just printed out back to school signs this year but next year I will definitely do something more fun like you did. Thanks for sharing! So nice! Thank you Andrea! I love your pictures and I m thinking of ordering one of the crayons myself, I just don’t understand how did you printed the letters? Hi Vali! I just added text digitally with an app. You can easily do it through IG stories or FB.